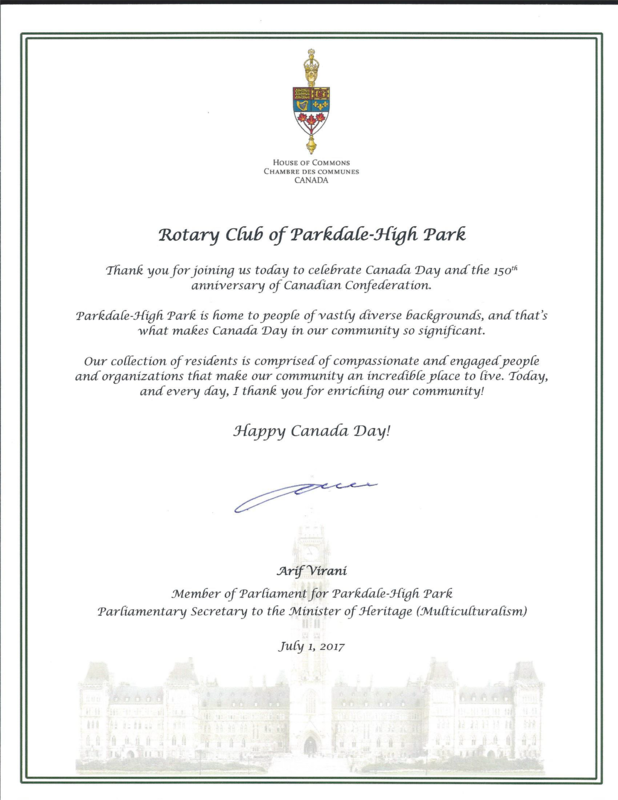 Since April 28th 1987, The Rotary Club of Parkdale - High Park has been working for the benefit of its community, and in support of the international community service initiatives of Rotary International. We are proud to be members of the world’s oldest service club, founded in 1905, and to be associated with its strong record of local and international community service. On December 1st 2017 the Rotary Club of Toronto Humber merged with the Rotary Club of Parkdale - High Park forming the Rotary Club of Parkdale - High Park - Humber. 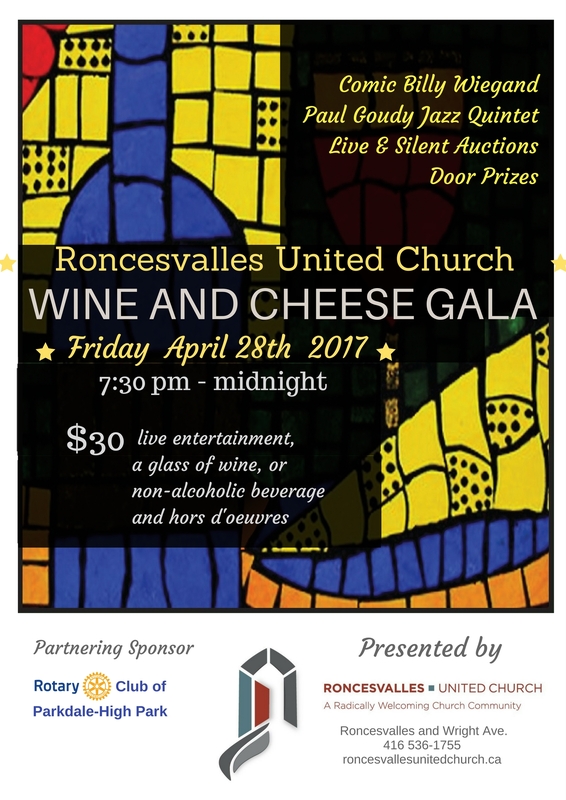 The Rotary Club of Parkdale - High Park celebrated its 30th anniversary in 2017. To commemorate the occasion, they honoured two people who have demonstrated “Service Above Self”. A Paul Harris Fellow is Rotary’s highest award to recognize individuals who have made an impact on the community. The first recipient of this award was Joanne Green who received her award last May. She was recognized for her work with refugee families, coordinating the Roncesvalles Refugee Relief group for Syrian families, and for organizing a sewing machine program, bicycle program, and movie days for refugee families across the GTA. On January 10, the second recipient, Luke Anderson, received the award. The Rotary Club of Etobicoke shared their meeting at the Old Mill for this special occasion. Luke is the founder of StopGap and the executive director of the StopGap Foundation. Luke had a terrible mountain biking accident, leaving him a quadriplegic. Returning to Toronto, he lived in the Roncesvalles/Junction community and became frustrated with the lack of access to the local shops. So, he designed the StopGap ramp that you see throughout the community and city. StopGap ramps are being installed in many cities across Canada, and the initiative is becoming global. Luke believes that accessible means inclusive, and that the world would be a better place if everyone could be included. 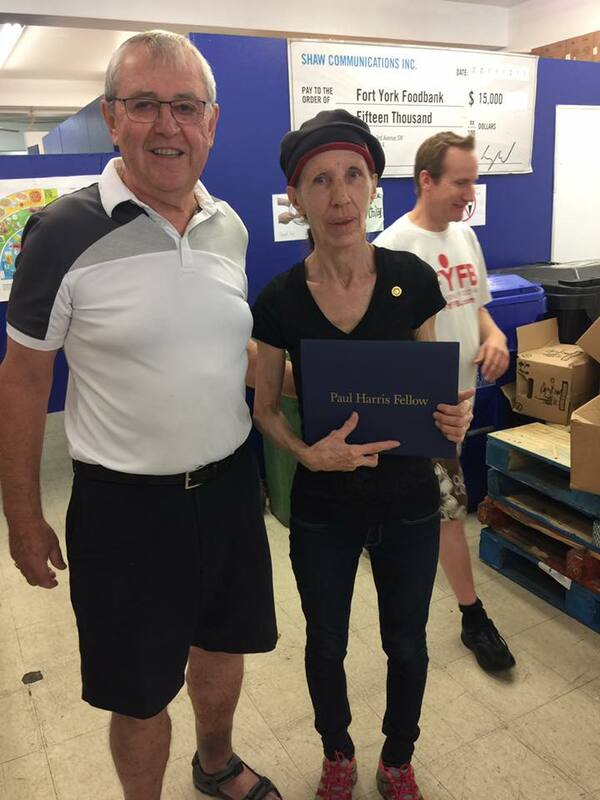 Saturday morning Don Sirko presented Margaret Cantwell of the Fort York Food Bank with a Paul Harris Fellowship Award for her service to the food bank and the community. Guest Speaker Madeleine Green with her parents Joanne and Murray, Scott Bartle, and visiting Rotarian Don Buchanan. We Celebrated our 30th Anniversary ! On February 16, Jane Pang, founder and principal of Clearview School of Arts and Culture, gave a presentation on Chinese culture. Jane's presentation addressed the recent global interest in traditional Chinese culture and referenced it through examples such as the popularity of Shen Yun Performing Arts, which aims to revive authentic Chinese culture on a worldwide scale. 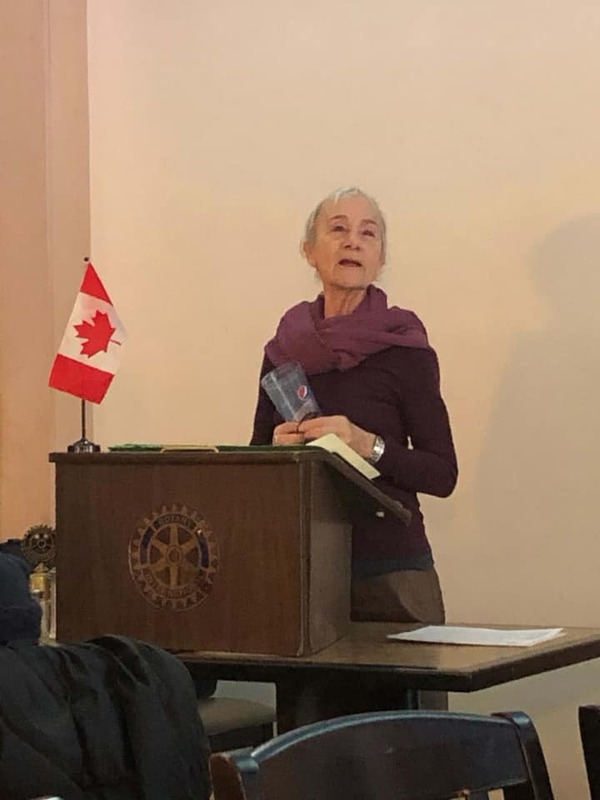 In addition to Jane's presentation, the Club inducted a new member, Michael Wolkensperg, and had a special guest attendee Berk Icer of Budget Blinds West Toronto. The Rotary Club’s mission is to bring together business and professional leaders in order to provide humanitarian services, encourage high ethical standards in all vocations, and to advance goodwill and peace around the world. Click the link below for SNAP's full story and Photos of the morning. 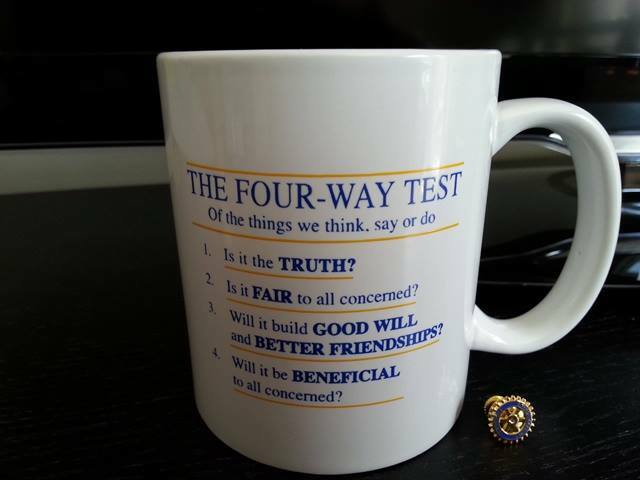 The Four Way Test on the coffee mug above guides what we do as Rotarians. The Rotary Club of Parkdale-High Park is one of 33,000 clubs in more than 200 countries and regions, forming a network of community service around the world. We are a welcoming, friendly and fun-loving group of men and women from different backgrounds, age groups, cultures and occupations. What we share in common is the desire to work on community projects, both at home and abroad, to make our world a better place. If you want to be part of a global network of community volunteers, then Rotary is for you. We meet Thursday mornings at 7:30 am at the Grenadier Café located in the centre of Toronto's High Park.